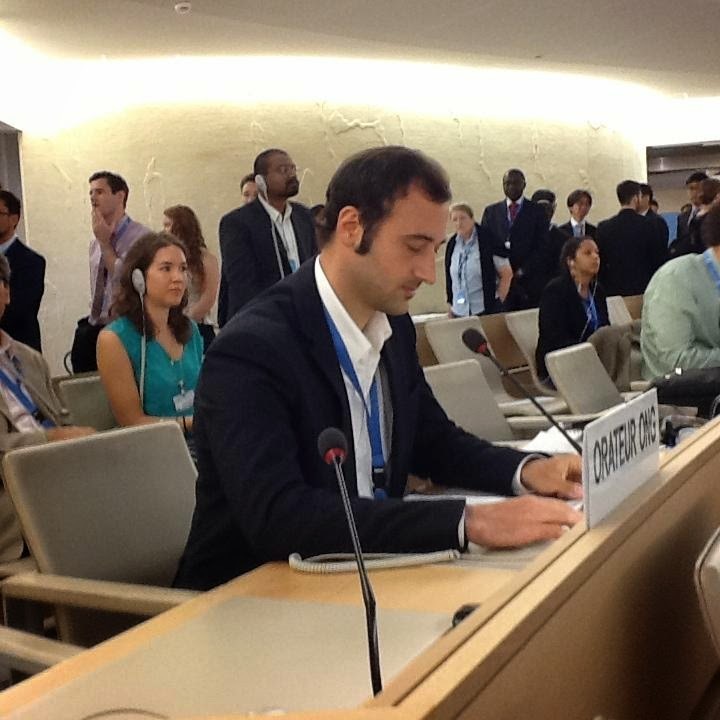 From Monday, June 16 through Friday, June 20, 2014, IIMA attended the second week of the 26th Session of the Human Rights Council at the Palais des Nations in Geneva. The week began with a panel discussion on the identification of the best practices in combating female genital mutilation (FGM). Over 125 million girls and women have undergone FGM in 29 African countries that contain the highest prevalence rates, with even more affected within specific populations worldwide. The practice violates the right to physical and mental integrity and is a form of gender-based violence and discrimination. Despite the adoption of legislation and policies to end FGM and some encouraging indicators of improvement, increased efforts are still needed to eradicate the practice, such as nationwide awareness campaigns and public displays from local leaders as they denounce the practice. On Tuesday, the Human Rights Council held the Annual Full-Day Discussion on Women’s Human Rights as well as an interactive dialogue with the Independent International Commission of Inquiry on Syria. The Full-Day Discussion on Women’s Human Rights consisted of two panel discussions that focused on gender-based stereotypes and the resulting negative impacts as well as the link between women’s human rights and sustainable development. The panelists and participating States agreed that the rights of women in law and practice must be adequately addressed in the Post-2015 Development Agenda. During the interactive dialogue with the Commission of Inquiry on Syria, the Chair of the Commission, Paulo Sergio Pinheiro, expressed with concern that the conflict has reached a tipping point, posing a serious potential threat to the entire region. The participating States condemned the many violations of international humanitarian law and widespread human rights abuses that have been committed by all parties in the conflict throughout Syria. The States maintained that peaceful political negotiation that holds perpetrators accountable for the human rights atrocities they have committed is the only way out to effectively end the suffering of the Syrian people. During the final two days of the week, IIMA participated in the UPR Outcome sessions under Item 6 by presenting joint oral statements during the reviews of Chile and the Dominican Republic. IIMA emphasized the staggering inadequacies in juvenile justice and the prevalence of socioeconomic and ethnic discrimination in the education system of Chile. In the second oral statement, IIMA condemned the persistence of widespread violence and discrimination against women in the Dominican Republic.